If you need some amazing, fresh and free Sketch resources, then you’ll definitely need to bookmark this list! 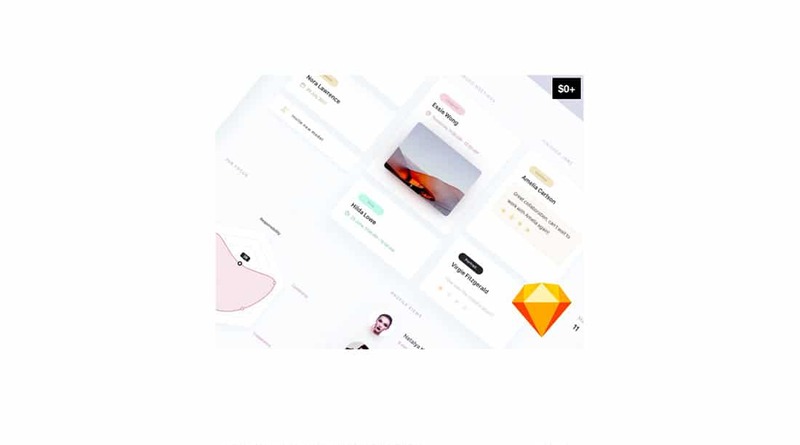 We selected here 25 of the best free Sketch resources we could find, from massive UI kits to landing page templates, website templates, icon sets and more. Some of this also come in different file formats, for Photoshop and Illustrator fans too. Discover these free Sketch resources and download them to your freebies collection. They will help you create beautiful user interfaces for apps, websites, and more. Flowchart kit 2.0 is a free Sketch file with a ton of useful UI elements, such as shapes, arrows, cards, and more. 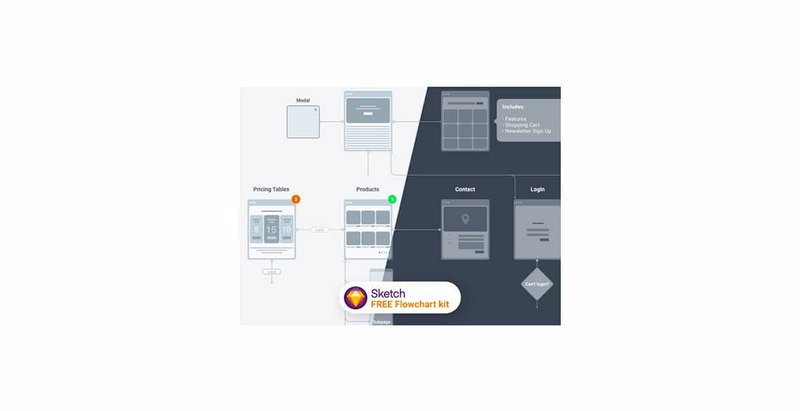 Use it to create sitemaps and flowcharts with ease. 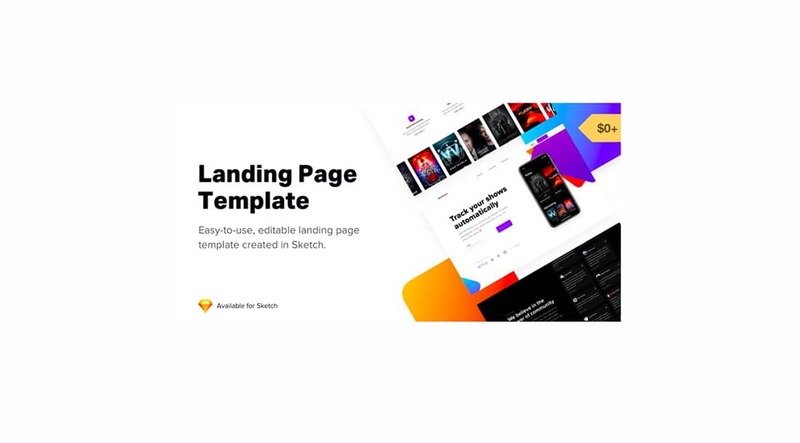 This is a clean and modern landing page template with lots of cool elements you can choose in your upcoming designs. 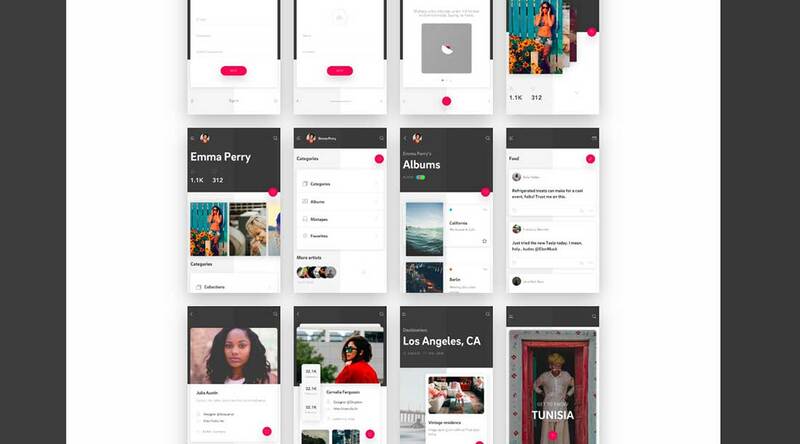 This is a free UX kit for Sketch that can be used for prototyping and wireframing. It includes more than 300 predefined components with text and layer styles. 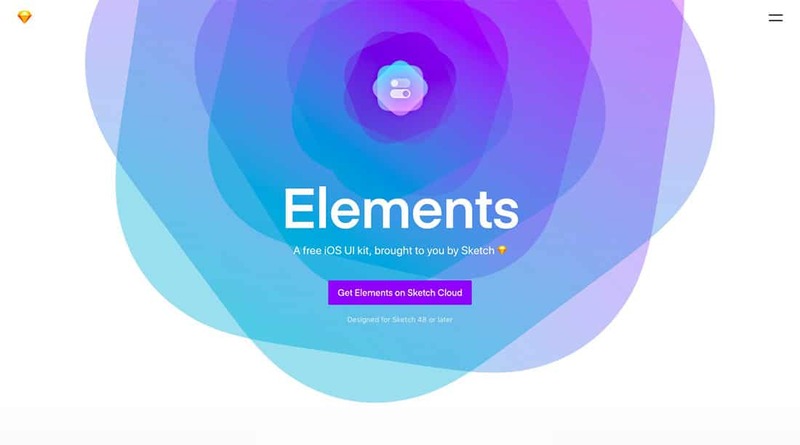 You’ll also get a combination of iOS and Android elements in the SKetch file. 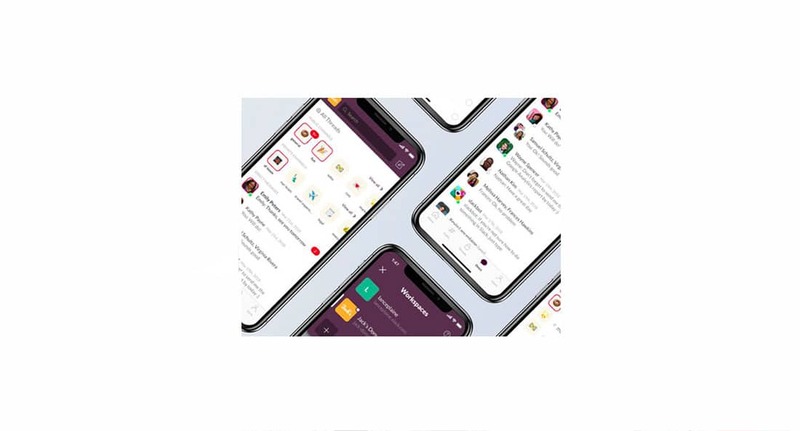 This Slack UI kit for iPhone is a redesign concept that includes 15 app screens. It even includes interaction capabilities. 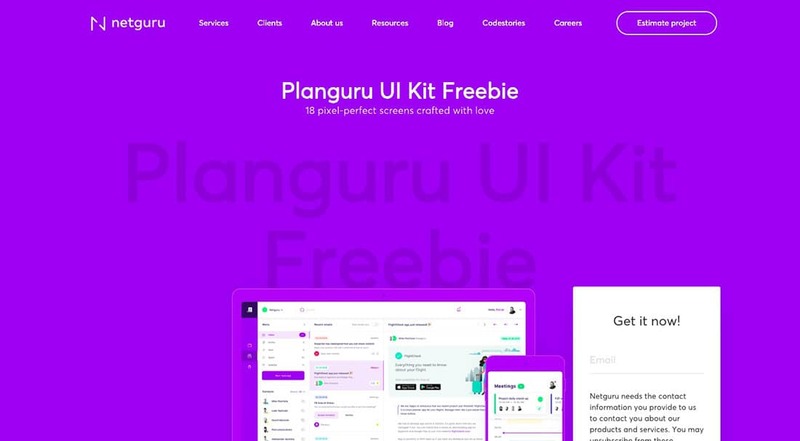 Planguru is another cool free UI Kit for Sketch and Photoshop. Use this toolkit for event or planning apps. It consists of 18 screens and many useful components for calendars, scheduling, group chats, notifications, and more. This Beautiful UI kit was released by the Sketch designer team and it includes 35 screens, 45 icons and 175 symbols. 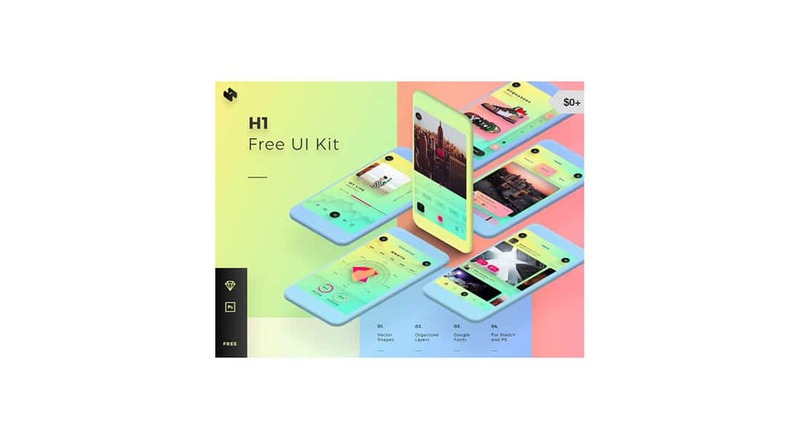 H1 is a colorful mobile UI kit that can be downloaded for both Photoshop and Sketch. 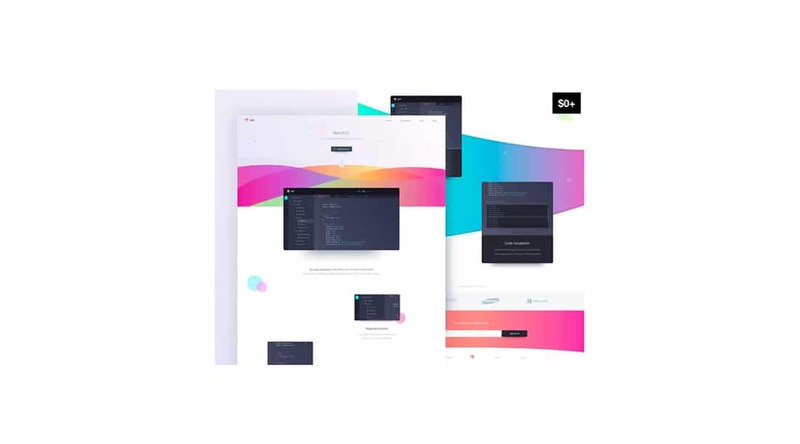 It is quite a large set, including over 100 screen templates, more than 400 UI elements and 10 different categories to choose from. 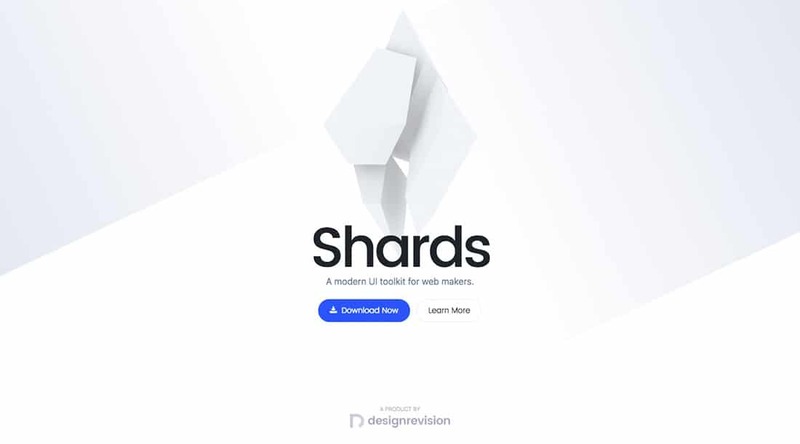 Shards is a free UI toolkit based on Bootstrap 4. It includes lots of components and the Sketch and SCSS files are also available to download. 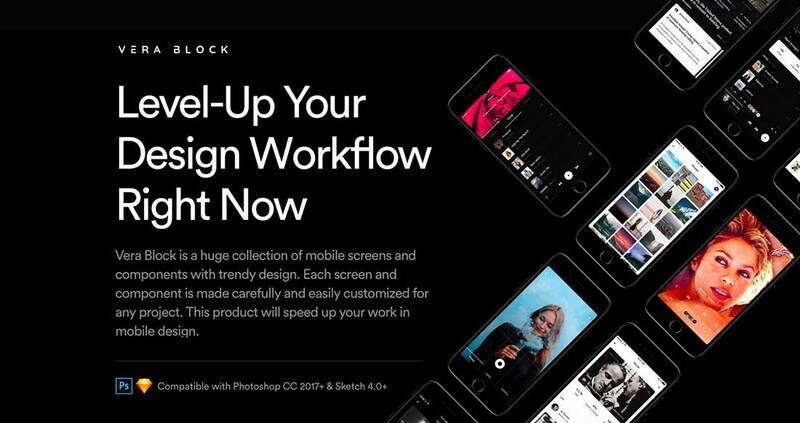 Vera Block is a massive freebie set with over 100 components and 140+ mobile screens for Sketch and Photoshop. Use it to speed up your workflow and create clean UIs. It has both dark and light versions for each element. Symbols & Styleguides is another useful Sketch template with tons of user interface elements such as selects, dropdowns, inputs, buttons, text areas, calendars, checkboxes, and more. Cherise is a generous Sketch template with 20 ready-made screens to choose from and 10+ text layer styles. 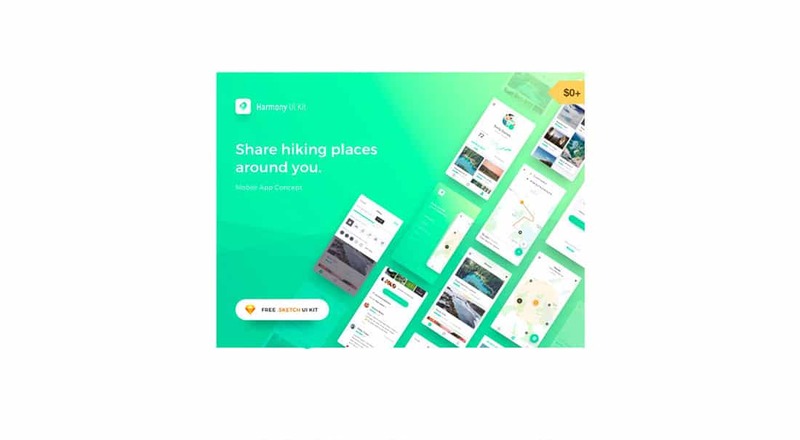 Travelisto is a free UI kit you can download for Sketch. 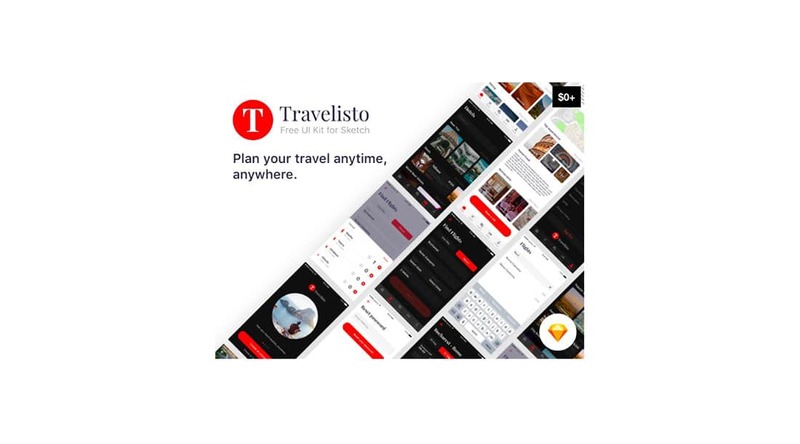 Use it to create a travel app design. It includes 22 iOS sample screens in both light and dark versions. 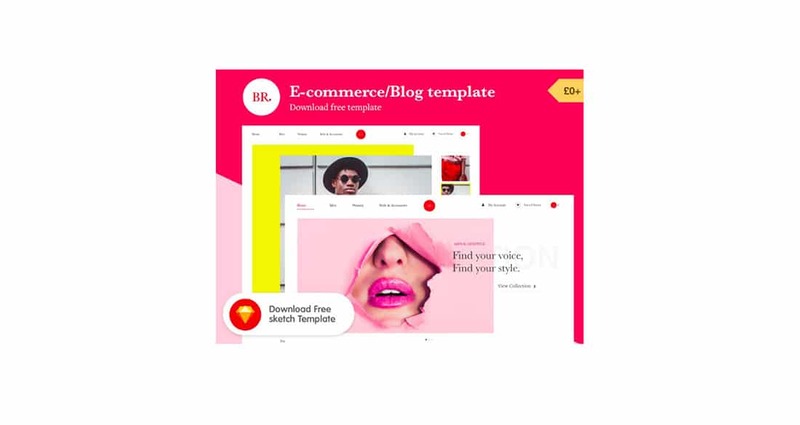 Br is a free Sketch template for eCommerce and fashion business. It has an electric color palette with 4 sample pages (front page, e-commerce, blog and style guide pages). Edit them with ease via Sketch. 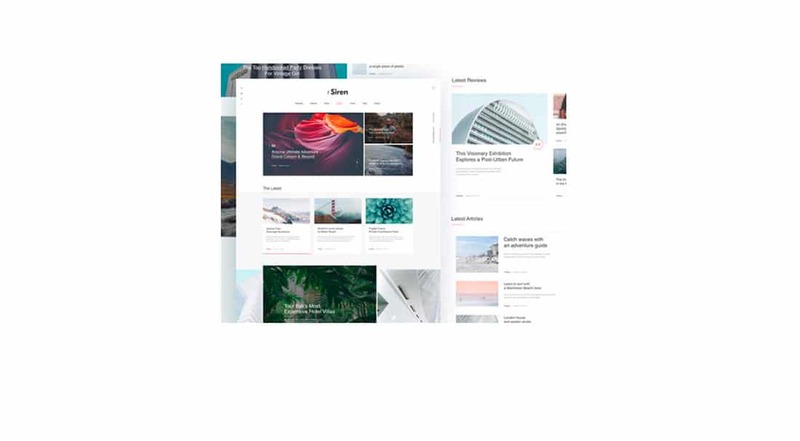 The Siren is another clean template that can be downloaded in Sketch format. This is a one-page blog or magazine design concept and includes 8 sections, with a carousel, news blocks, subscription forms, Instagram feed, and more. Edit them as you please. 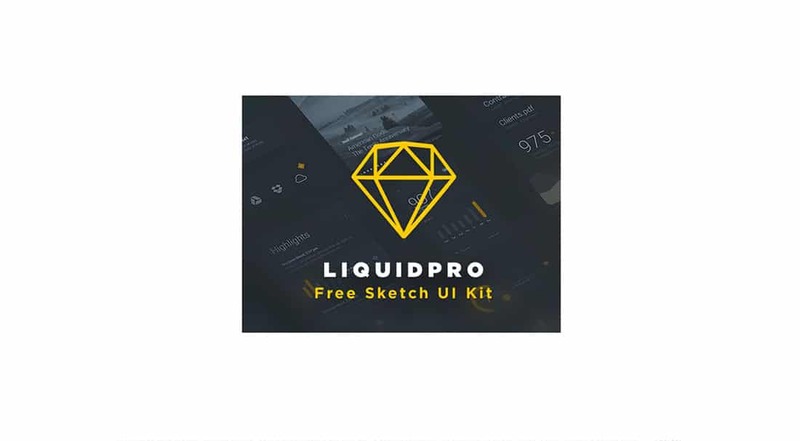 LiquidPro is a free UI kit for Sketch and Photoshop. It includes ready-made components from various categories and for multiple purposes. 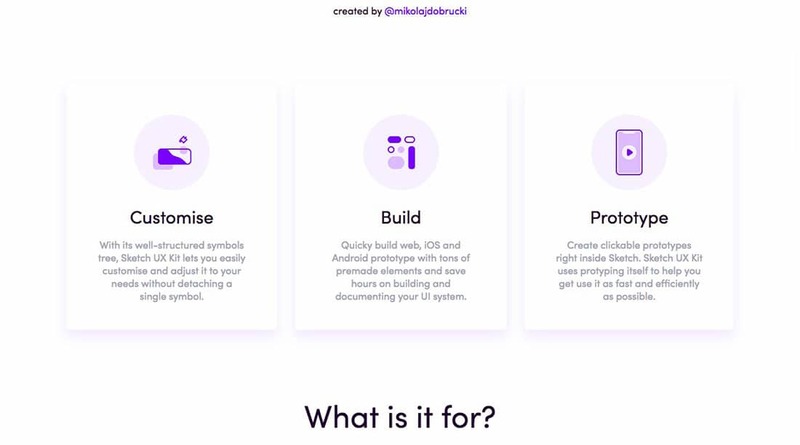 Use it for creating beautiful app prototypes. Harmony is another free user interface set with 10 iOS screens built with Sketch. The visual elements in this kit have clean and modern designs. This is another cool and free modern dashboard interface that will surely inspire you. Use it to get started with your dashboard design projects. Bjango is a free app icon set you can edit in Photoshop, Illustrator, Sketch, and Affinity Designer. These icons can be used for Android, iOS, macOS, Apple TV (tvOS), Apple Watch (watchOS), iMessage, Windows, Windows Phone and as web favicons. 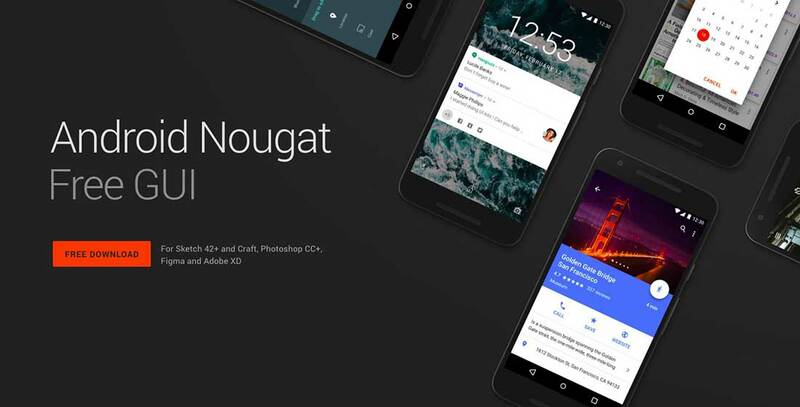 Check out this free Android Nougat UI kit for Sketch. This can be used for prototyping your app projects. Download this awesome freebie that has lots of components and ready-made screens. 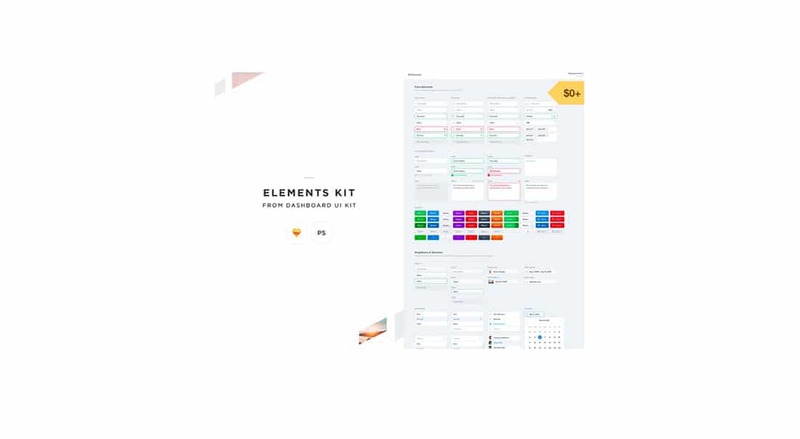 Elements is another free UI kit with tons of useful components you can edit in both Photoshop and Sketch. Get elements for dashboards, tables, notifications, dropdowns, buttons, inputs, and more. Edd is a lovely landing page design for apps showcasing. It is an organized Sketch file with lots of clean and colorful elements. This is a massive icons collection for both web and mobile apps, with over 600 icons in 18 categories. The icons have different formats: SVG, PNG, ICO, ICNS, and IconJar archive, and they come in the 32x32px size. 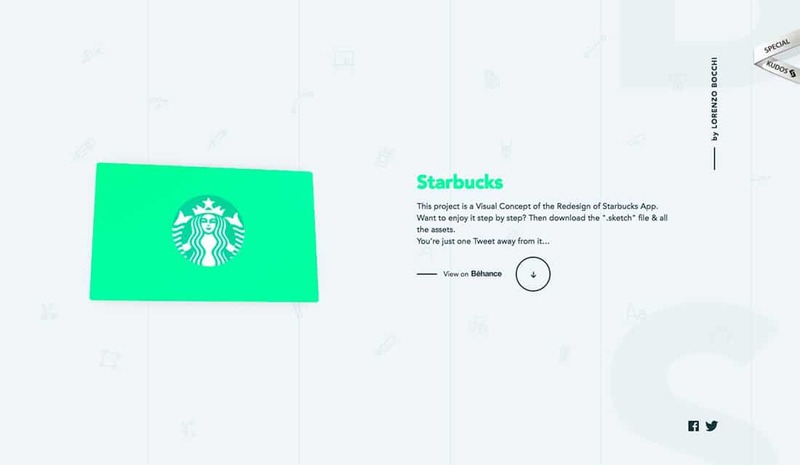 This is a free Sketch set for iOS app design with a Starbucks theme. This project consists of 5 screens and over 30 components that will inspire you to create awesome user interfaces. City Sets is a free collection of icons with a city / urban theme. These icons can be downloaded in both AI and Sketch formats. The set includes city icons for London. NY, Paris and Sidney, but more will be added soon.